Marble is one of the oldest types of flooring materials. But it remains just as popular today as it did hundreds or even thousands of years ago.Part of the reason for that is because marble’s luxurious appearance never goes out of style. It’s also highly durable, easy to keep clean, and goes with practically any type of decor. Here are five other amazing facts about marble that may surprise you. Marble is featured in many of the world’s most famous structures, including India’s Taj Mahal, the Duomo Cathedral in Florence, Italy, and the Washington Monument and U.S. Supreme Court Building, in Washington, D.C., to name a few. Marble is hard, but the material most marble is made from, limestone, is actually soft — for a type of stone, at least. Limestone is a type of rock that is naturally formed and comes in a wide variety of colors. It is made into marble by a process that involves intense heat and pressure. The streaks and colors found in marble are actually caused by impurities in the stone. These can include sand, silt, clay, and iron oxides. Different colors are caused by different types of impurities. For example, green in marble is usually a sign of high magnesium levels in the limestone before it was transformed into marble. People with severe allergies can benefit from having marble floors in their home. Marble won’t absorb dust, hair, dirt and other materials that can make you sneeze. 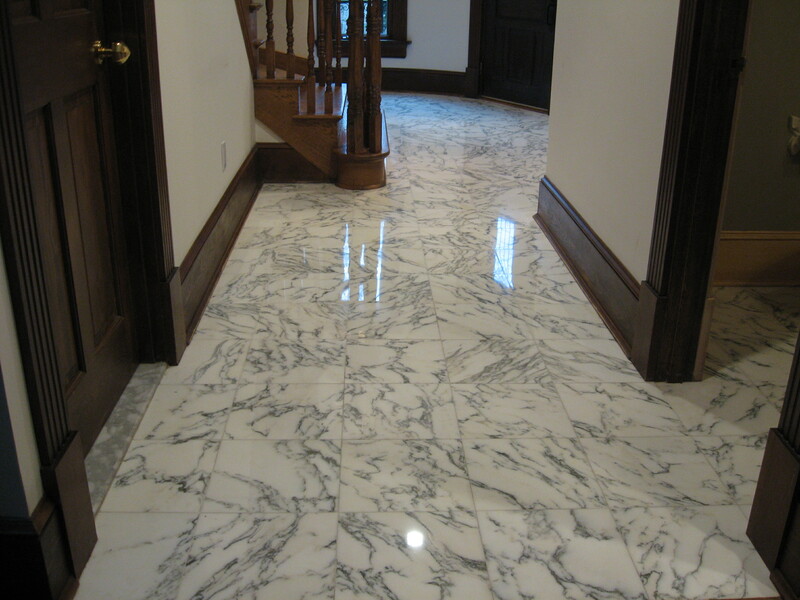 Many homeowners are surprised by how easy it is to clean and maintain marble floors. When polished properly, marble is very difficult to scratch or stain.That’s one of the reasons marble is such a popular flooring material in high-traffic buildings, such as libraries, schools and government offices.